Anyone in need of an immigration medical exam to obtain citizenship status or facilitate a green card or visa application can schedule an appointment with the medical experts at Vital Urgent Care. Our physicians are Yale-Trained, Board-Certified, and can perform immigration physicals for anyone in the Newport Coast, California area, looking to adjust their status in the United States. After reviewing the required documents and paperwork, our doctors will begin to administer the immigration medical exam. During the physical, we will test for any communicable diseases and verify that you have a clean bill of health. We test for several different diseases, including tuberculosis, which typically requires a second visit back to our office to have your results read and confirmed. Once the exam is completed and test results are verified, our physician will fill out your Form I-693 for you to submit to USCIS. 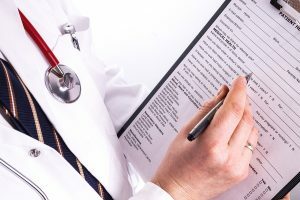 To learn more about receiving an immigration medical exam from the doctors at Vital Urgent Care, contact us today. You can utilize our online ZipPass check-in system, which allows you to schedule an appointment at our ultramodern facility just outside the Newport Coast, CA, area at the next available time and date that is convenient for you.